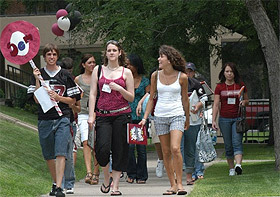 This week the Augsburg College campus will welcome new Auggies and their families to campus for SOAR—student orientation and registration. Members of the class of 2015 will attend this overnight experience to meet each other and learn (almost) everything they need to know before their first day of fall classes. SOAR student and parent sessions are July 22-28. 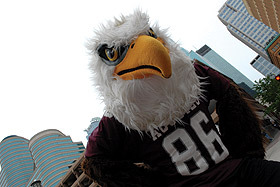 For the last couple of years, Augsburg’s summer orientation program for incoming first-year students has focused on introducing new Auggies to the neighborhoods surrounding campus. 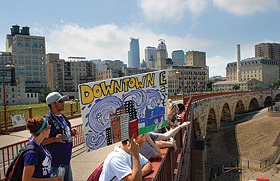 During SOAR, both students and parents take neighborhood walking and light rail tours and not only see the areas but also learn some of the history and lesser-known facts about the neighborhoods.